The Huron Remembers website project is providing biographical content for each of the 716 Huron County fallen in both world wars and the Afghanistan conflict. A sample of this type of content can be found at http://dutch-canadiansremember.ca/biographies, although the Huron Remembers site will be much more comprehensive in scope. The website project is being organized by sequentially publishing the content for each local cenotaph over the period of time necessary. Our project is hoping to provide each cenotaph with a QR code so visitors may learn easily locate the stories behind each name on the website. We also intend to provide opportunities for community engagement so families of our veterans may participate by providing content and make known the sacrifice that was made. We want to connect our younger generation to our heritage of freedom. 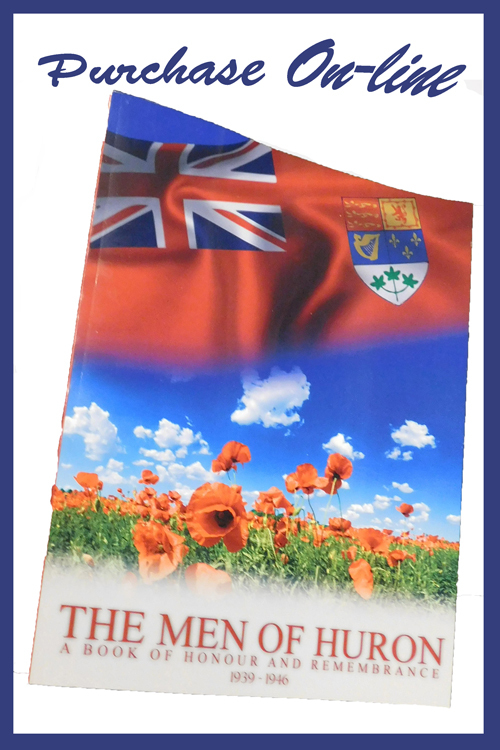 In addition to the World War Two "Men of Huron" book which was published several years ago, we intend to follow this up with a similar book accounting for our World War One fallen.